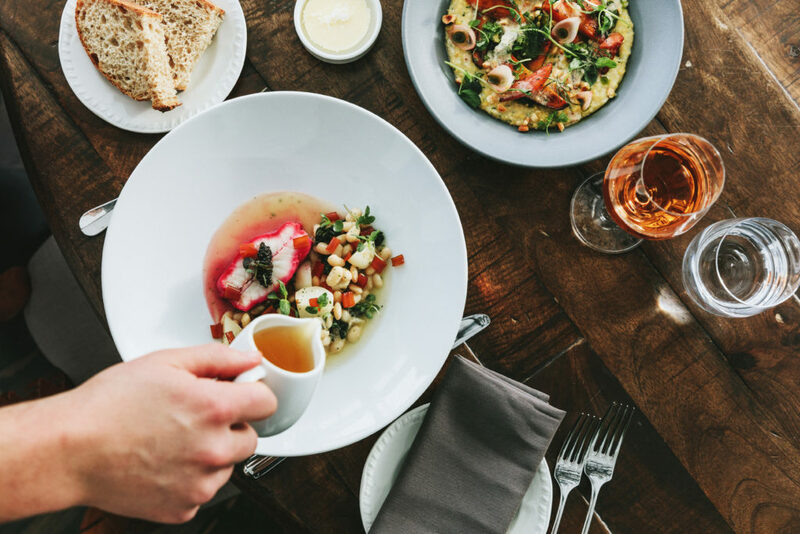 Calgary is the quintessential Canadian Prairie city — feisty, adventurous, and filled with risk-takers, entrepreneurs and some of Canada’s finest chefs. It’s the now somewhat-tamed, wild west that built its wealth on cattle and oil and land. The Bow and Elbow are two sprawling rocky rivers, once watery highways for both First Nations and homesteading settlers. It was at their confluence that countless Indigenous peoples camped and where the Northwest Mounted Police raised Fort Calgary’s palisades in 1875. The community that was to become Calgary sprang up around the fort clustering along the riverbanks. Calgary’s stories are legion and restaurateur Sal Howell is one of the Prairie’s finest culinary chroniclers. 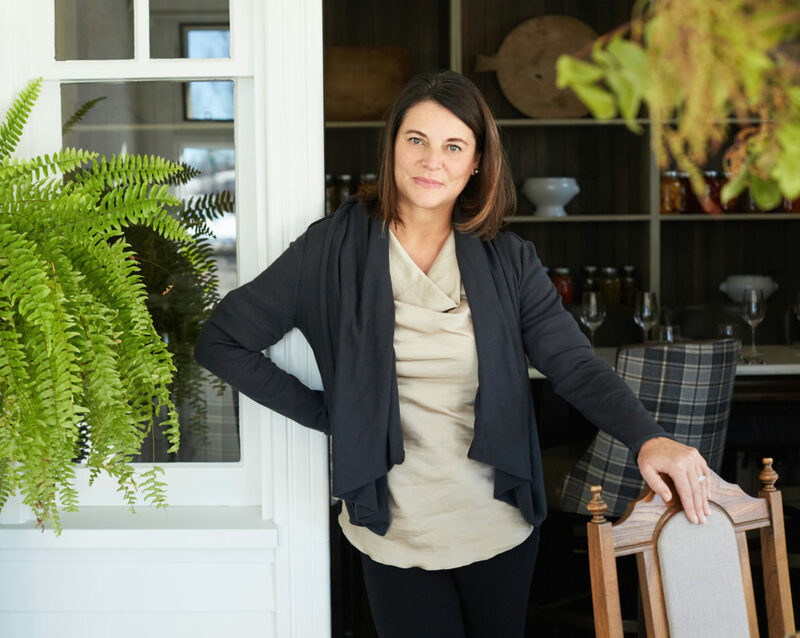 On the menus of her two restaurants, River Café and Deane House, she paints a loving picture of this low slung Prairie city with its deep connection to the food-scape that is the essence of western Canada. 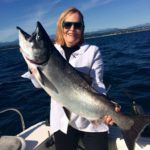 It began, for her, in 1991 when the city put out a tender for someone to run a tiny snack bar in Prince’s Island Park, a small island where the Bow River, itself a world class fly fishing destination, passes through the beating heart of the city. Ms Howell took on the challenge, added café seats and realized that she liked the restaurant business…a lot! In 1995 she built a real restaurant and became a singular local food pioneer, sussing out producers and naming them on her menus, lending her farmers and fishers the cachet that helped build their nascent businesses. 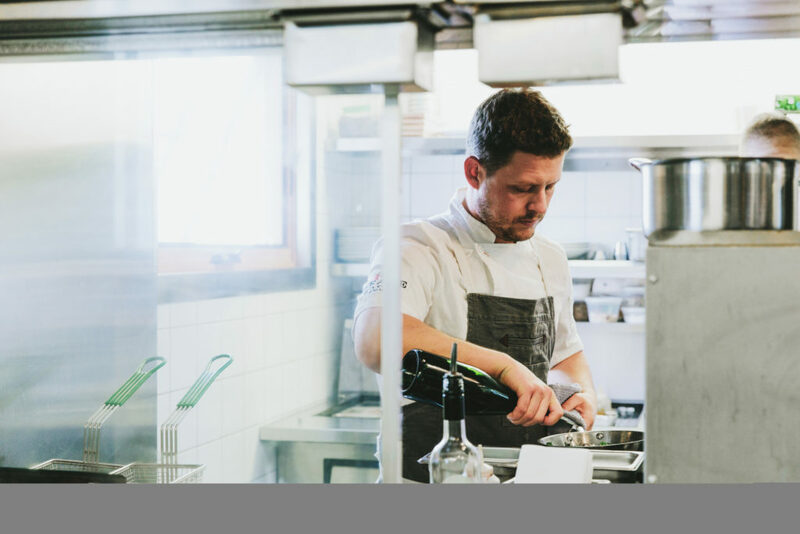 Right from the beginning she and her chefs showcased “seasonal Canadian cuisine” in the warmth of what feels like a mountain fishing lodge with its huge field stone fireplace and the river flowing within sight of the dining room and the large shaded patio. 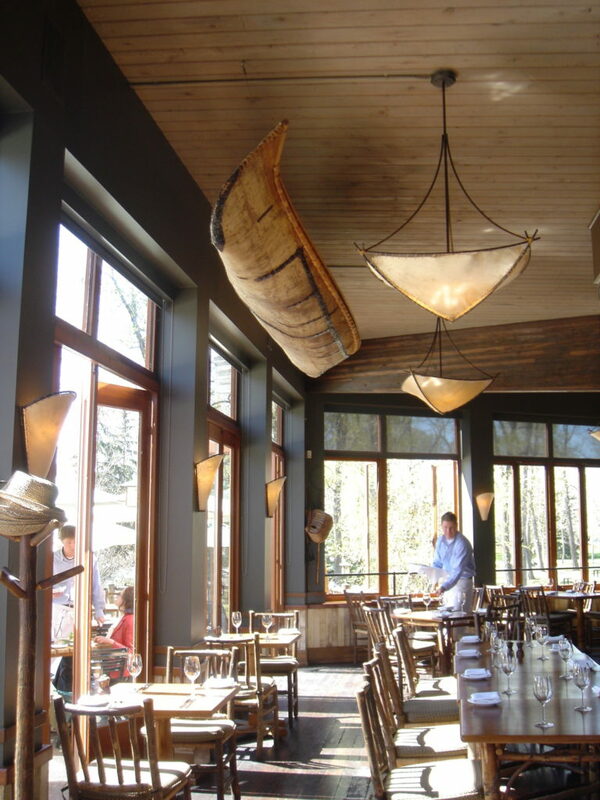 A birch bark canoe hangs from the ceiling; fly rods and landing nets are strategically placed on the walls. The food is exquisite…regional, organic, free range from local farmers and producers and from the restaurant’s organic garden. 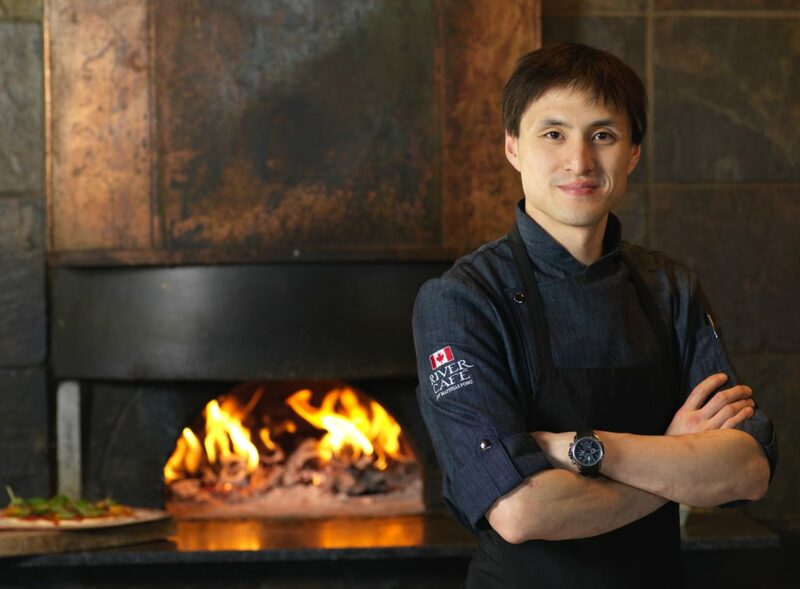 River Café’s Executive Chef Matthias Fong is at the top of his game! In 2017, he cooked at New York’s venerable Beard House, the epicenter of American gastronomy. Ms Howell’s second historical restoration, Deane House, is adjacent to the site of the original Fort Calgary – it was the last commanding superintendent, Cpt. Richard Deane who built it in 1906 – and close to Stampede Park *. Opening Deane House was a multi-year dream punctuated by countless delays and a major, region-wide flood in 2013 that saw the entire wine cellar at River Café destroyed. Other less-determined people would have simply walked away, but Ms. Howell is not faint of heart. 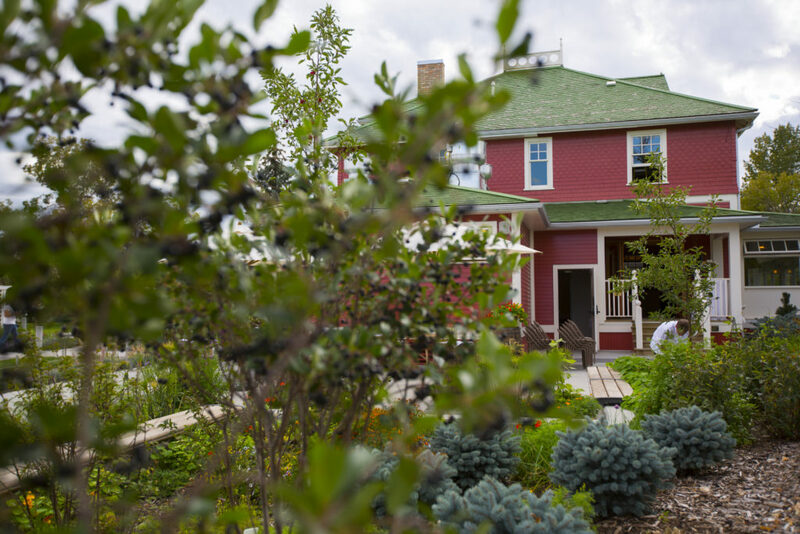 Her building of the Deane House gardens, the haunting of Prairie antique outlets, the honing of the menus to source the best local ingredients is something for which all Albertans can be mightily proud. She allows her chefs creative freedom and Deane House’s Executive Chef, Jamie Harling, is a talent to watch. 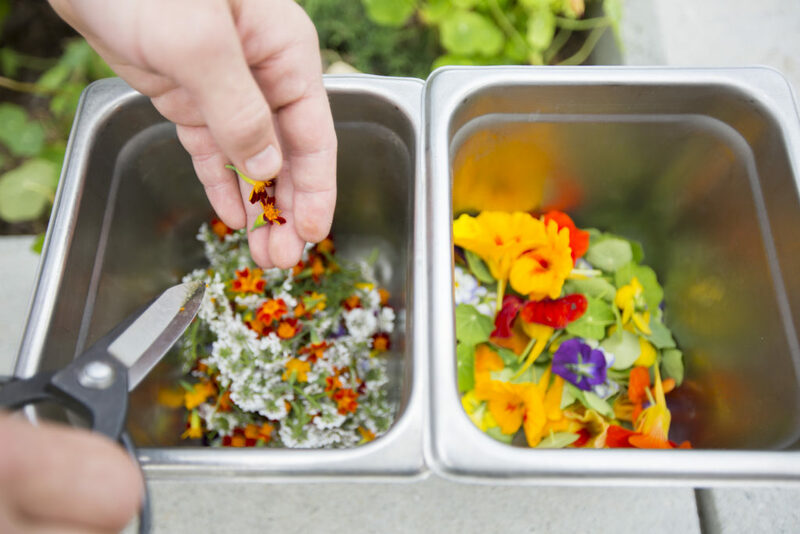 The culinary philosophy of Deane House, as with River Café, is deeply rooted in sustainability. Decision-making around all aspects of operations is governed by a commitment to championing local food economies. “How can we lessen our food-print / foot-print? How local can we be? These are the questions we ask ourselves,” says Howell. One answer is found in the kitchen garden planted on the grounds, and in their support of other urban gardening initiatives. Long-standing partnerships with organizations such as Ocean Wise which promotes sustainable seafood choices, are also important. 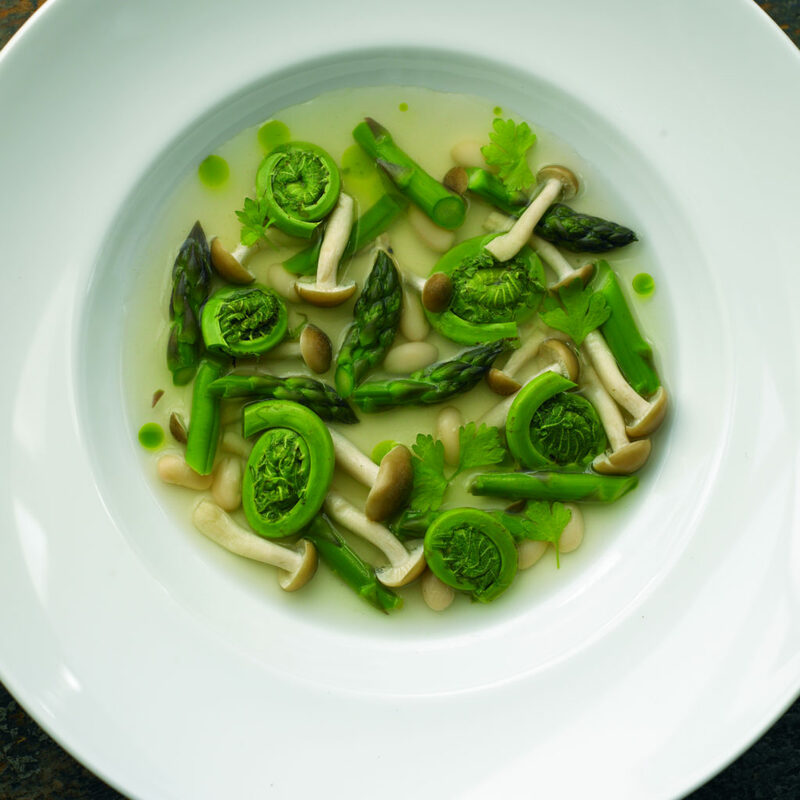 But it’s the food that makes these restaurants the real north stars in Canadian dining. Whether it’s a vegetable-rich bison stew, an elegant Northern Divine sturgeon filet with yellowfoot chanterelles and crabapple wine broth or a simple bowl of red lentil hummus dip, this is Canadian cuisine, strong, proud and absolutely delicious. So honored to have been a producer for both restaurants for so many uears. Congratulations Sal, Matthias , Jamie and all!